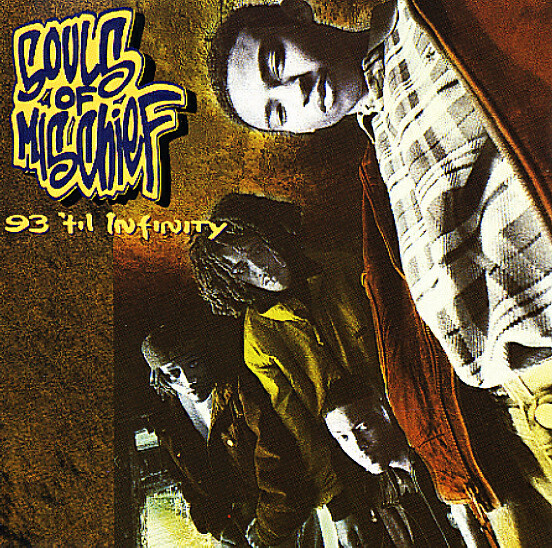 The timeless classic Cali hip hop standard bearer from Souls Of Mischief – on 2LP vinyl! As much as we love all the best Hiero output of the 90s & beyond, this is still our favorite, and besides, it's pretty much the blueprint for the Hieroglyphics sound. Smoothly jazz and headnodding boom bap production at its finest – along with some of the finest ensemble rapping of the era, this one goes straight up on the top shelf. 14 tracks: "That's When Ya Lost", "Let Em Know", "Live & Let Live", "Make Your Mind Up", "A Name I Call Myself", "Disseshowedo", "What A Way To Go Out", "Never No More", "93 Til Infinity", "Limitations", "Anything Can Happen", "Make Your Mind Up", "Batting Practice", "Tell Me Who Profits" and "Outro".. © 1996-2019, Dusty Groove, Inc.